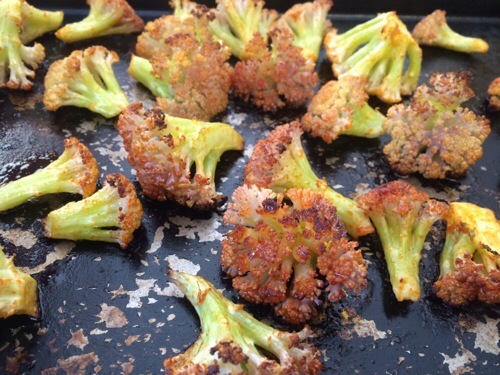 My two favorite ways to prepare cauliflower are pan searing and, what I did here, roasting. I had never tossed them with smoked paprika before, that was a neat addition. And look at that great color! 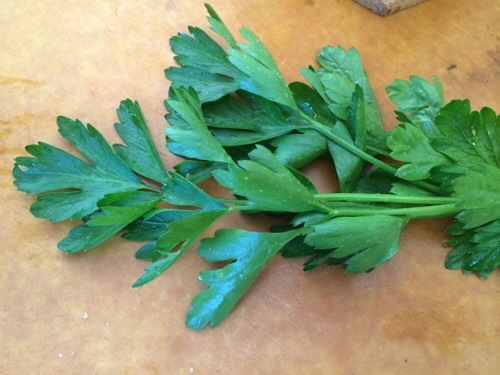 Here is the parsley from my garden, isn’t it pretty? 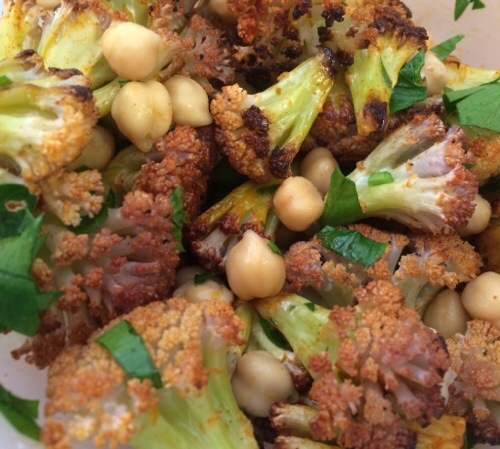 Bring together the roasted, smoked paprika cauliflower, some chickpeas, and parsley along with oil, vinegar and seasoning and you get a beautiful salad or side dish. 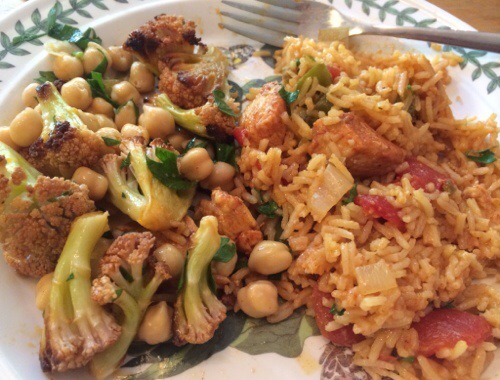 We had it as a side dish with arroz con pollo; it was a very tasty combination. 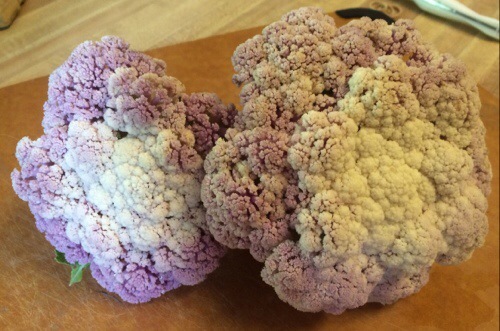 Toss the cauliflower with 1 Tbsp olive oil, salt and paprika. Spread on a baking sheet, roast for 20 minutes. Let cool. Toss with chickpeas, parsley, salt remaining olive oil and vinegar.